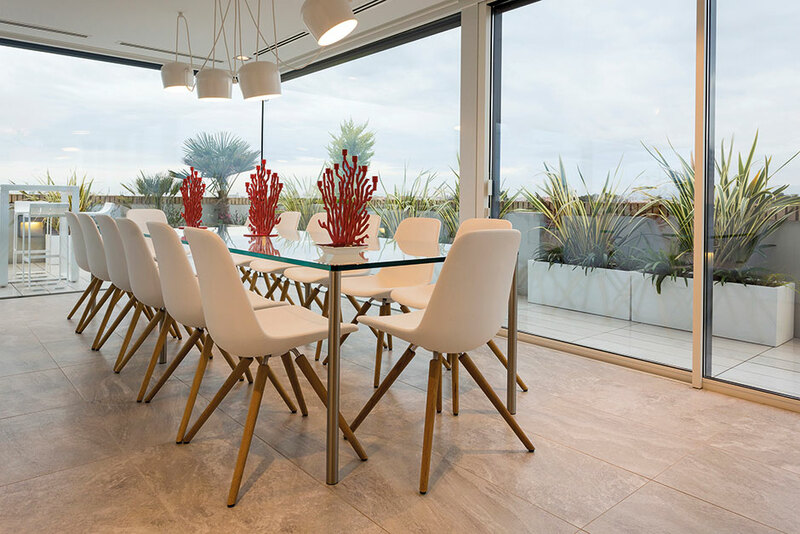 Located in Canet de Berenguer Valencia, Spain, this exclusive penthouse provides magnificent 360° sea views. 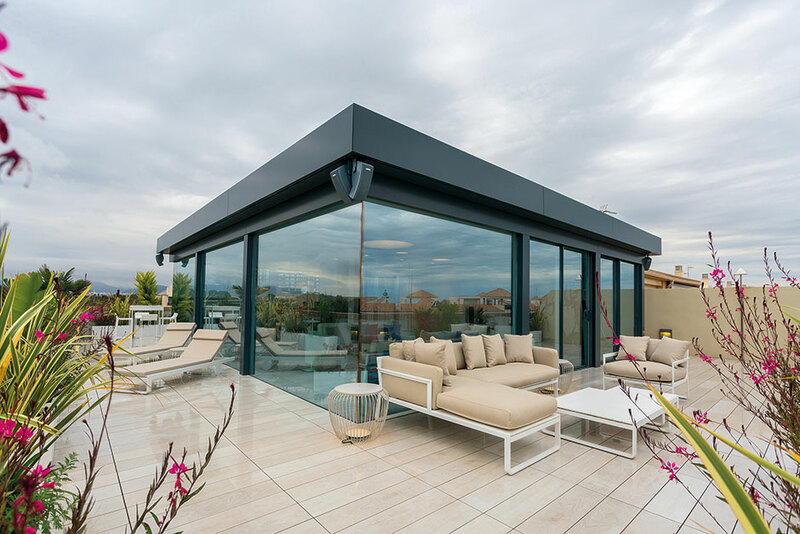 Architect & designer Octógono Castellón fused two independent apartments together to create this two-story residence. Interior designer Manuel Dauffi used a neutral color palette throughout the public areas of the residence which were enhanced by the vibrant color shades used in the cushions, rugs, and furniture. 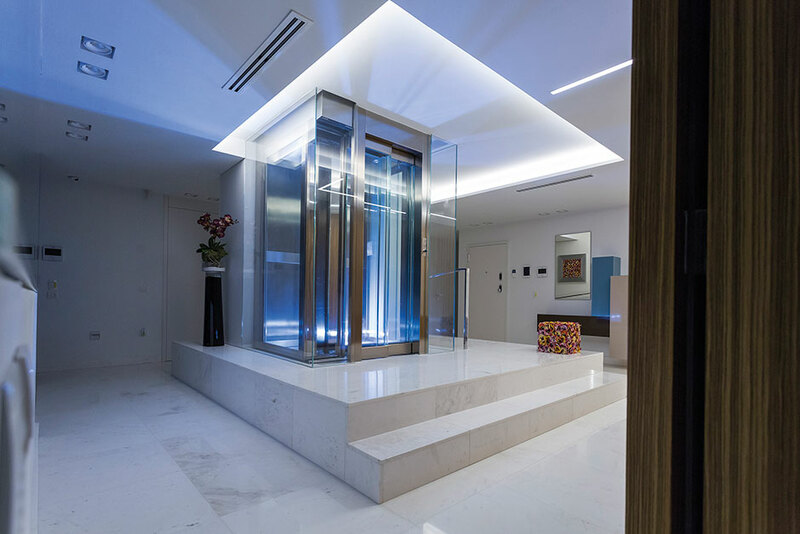 Porcelanosa’s Zurich Ash tile was used throughout the communal areas of the first floor. 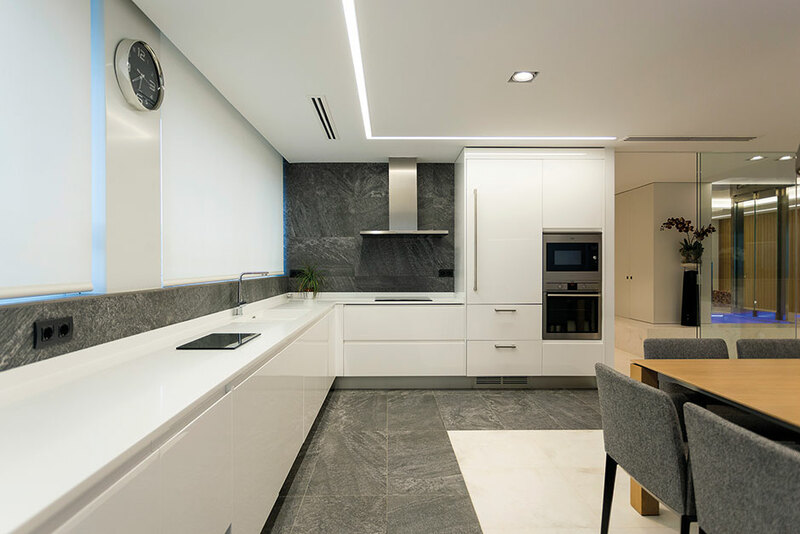 The kitchen features Porcelanosa’s custom kitchen cabinetry. 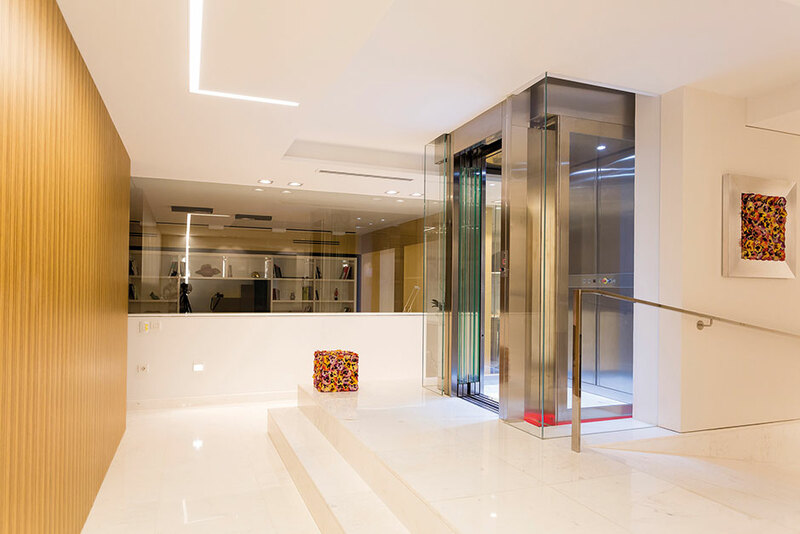 Our Persian White Pulido marble was also installed on the flooring of the ground floor hall and private lift area. 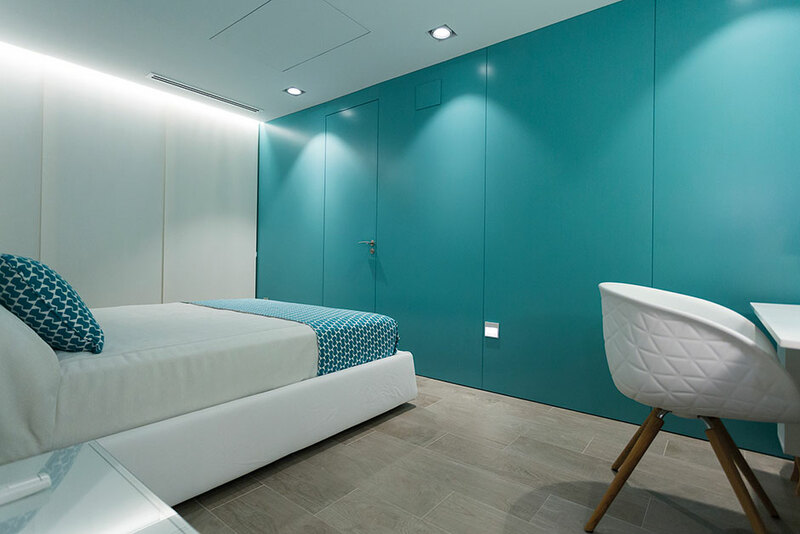 The bedrooms feature lively colors reflecting the personality of the inhabitants. The wood-look ceramic floor tile Oxford Natural was used to add character. 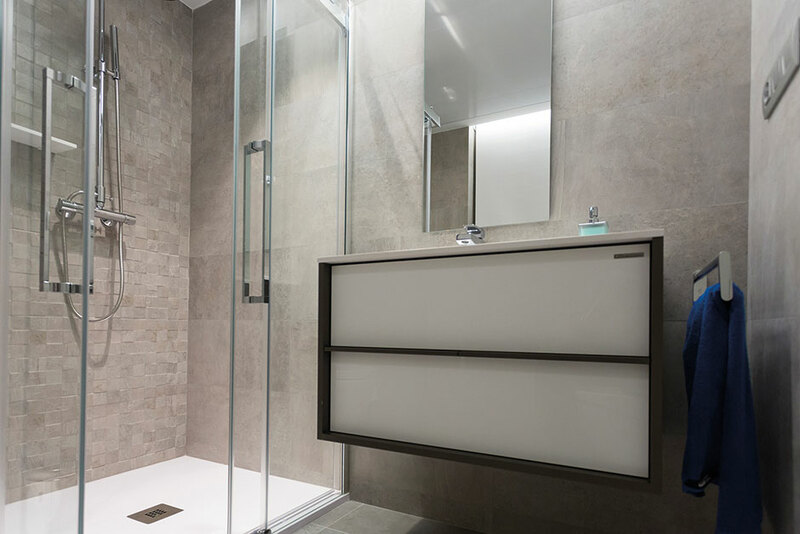 The bathrooms feature Porcelanosa’s Rodano Caliza and Acero wall tiles and mosaics. 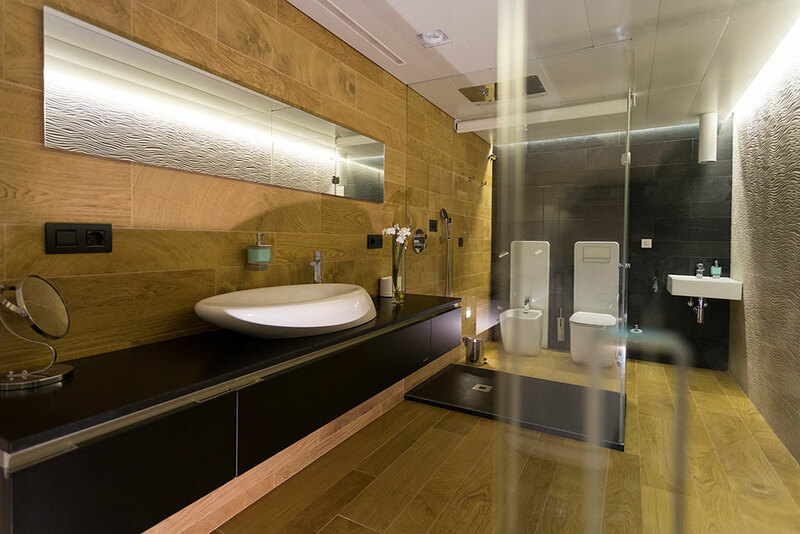 The Folk and Tetris vanities as well as the Jam wall-hung basin are also part of the space. 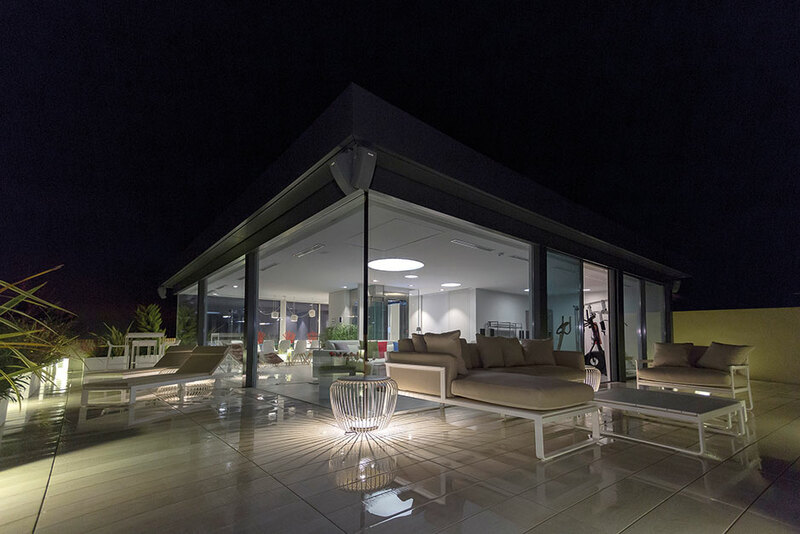 Raised flooring created using special pieces of the Oxford Blanco tile is found in the terrace. 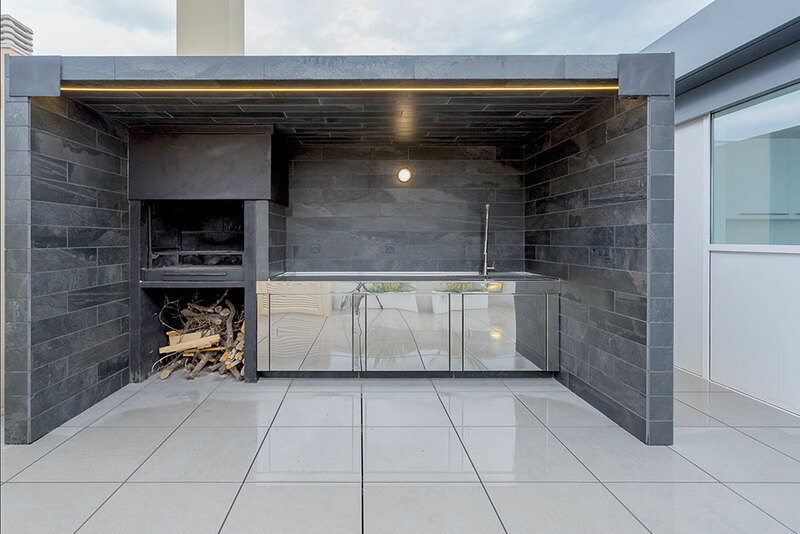 The exterior barbecue area is also covered in Porcelanosa’s Samoa Antracita ceramic tile collection.